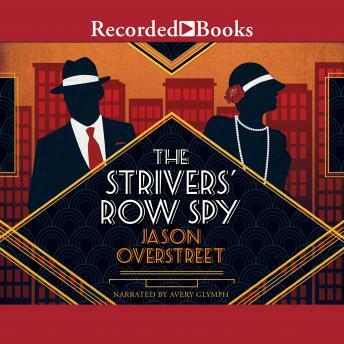 Stunning, suspenseful, and unforgettably evocative, Jason Overstreet's debut novel glitters with the vibrant dreams and dangerous promise of the 1920s Harlem Renaissance, as one man crosses the perilous lines between the law, loyalty, and deadly lies. For college graduate Sidney Temple, the Roaring Twenties bring opportunities even members of his accomplished black bourgeois family couldn't have imagined. His impulsive marriage to independent artist Loretta is a happiness he never thought he'd find. And when he's tapped by J. Edgar Hoover to be the FBI's first African-American agent, he sees a once-in-a-lifetime chance to secure real justice. Instead of providing evidence against Marcus Garvey, prominent head of the "dangerously radical" back-to-Africa movement, Sidney uses his unexpected knack for deception and undercover work to thwart the Bureau's biased investigation. And by giving renowned leader W. E. B. Du Bois insider information, Sidney gambles on change that could mean a fair destiny for all Americans... But the higher Sidney and Loretta climb in Harlem's most influential and glamorous circles, the more dangerous the stakes. An unexpected friendship and a wrenching personal tragedy threaten to shatter Loretta's innocent trust in her husband-and turn his double life into a fast-closing trap. For Sidney, ultimately squeezed between the Bureau and one too many ruthless factions, the price of escape could be heartbreak and betrayal no amount of skill can help him survive.